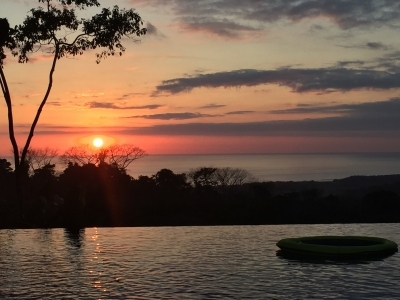 2.3 ACRES – 4 Bedroom Estate With 2, 2 Bedroom Homes, Pool, Sunset Ocean Views!!!! 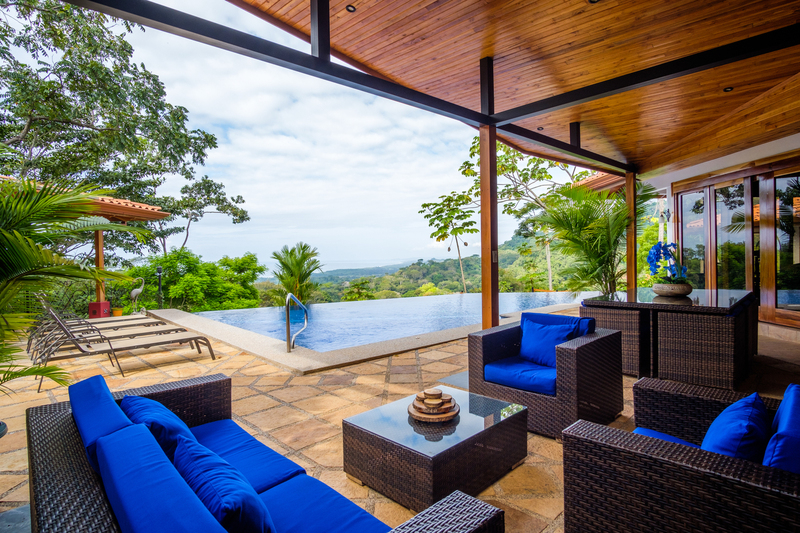 On very rare occasions will you find a property that has it all: privacy, stunning views, wildlife, excellent location, turnkey vacation rental program, high quality construction, handsome design, impeccable maintenance, manicured grounds – the total package. 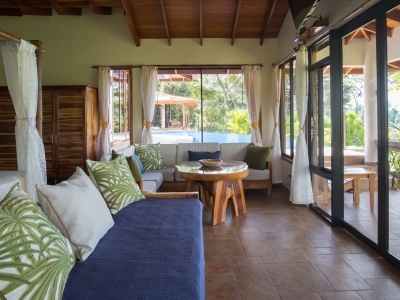 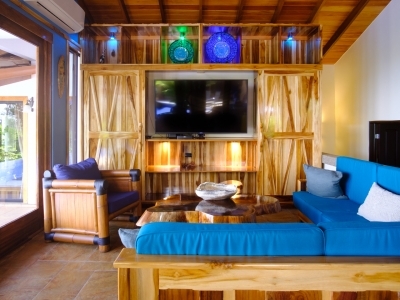 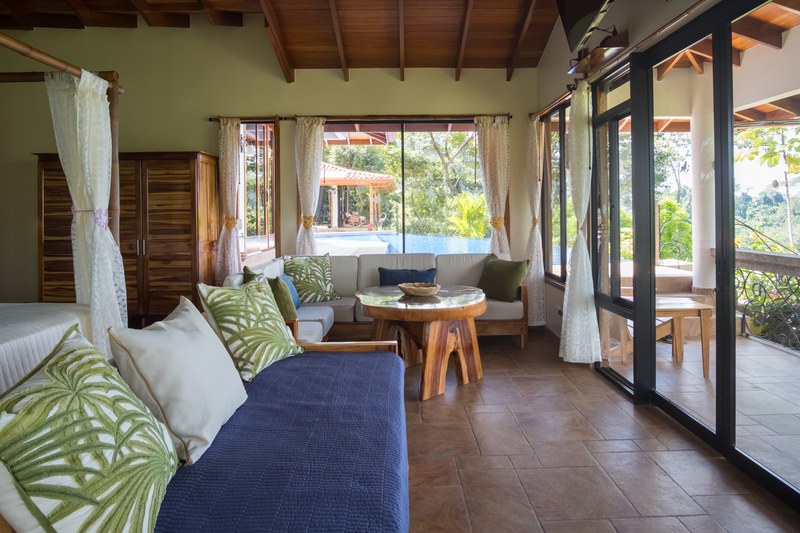 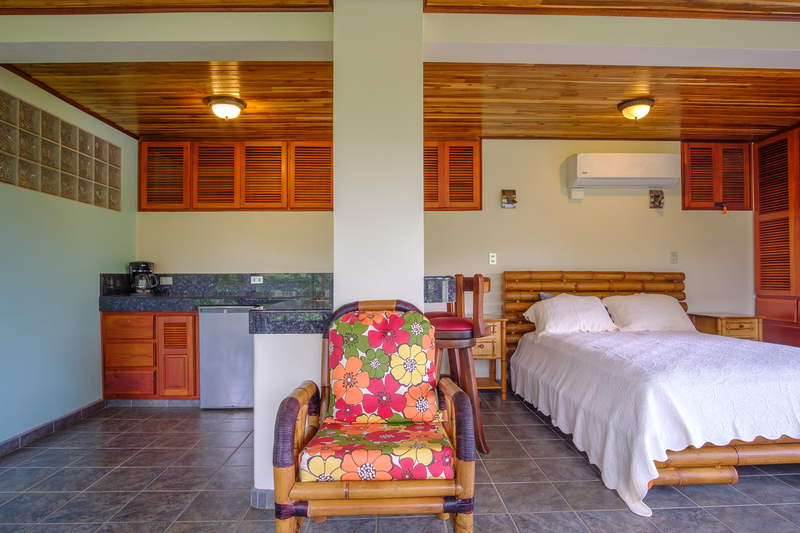 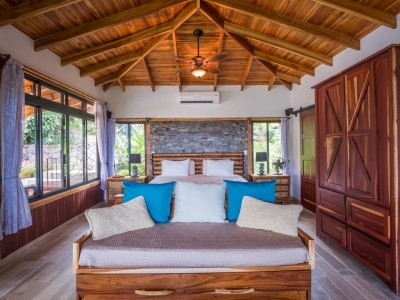 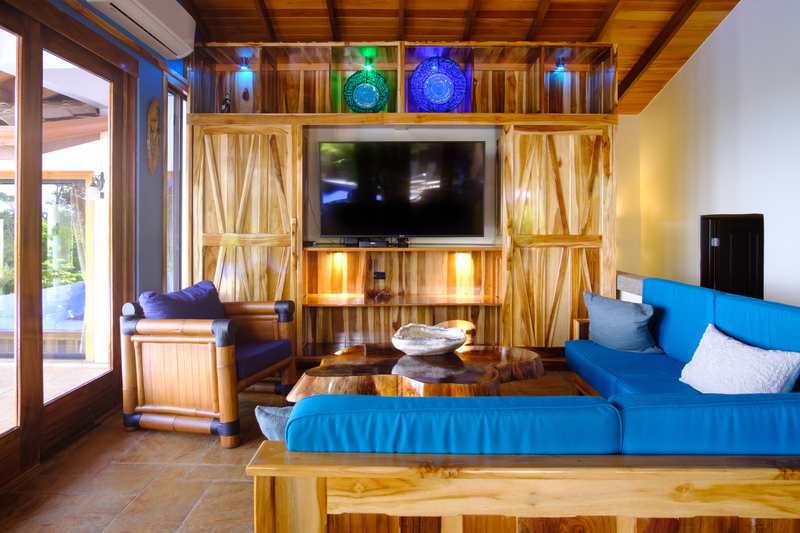 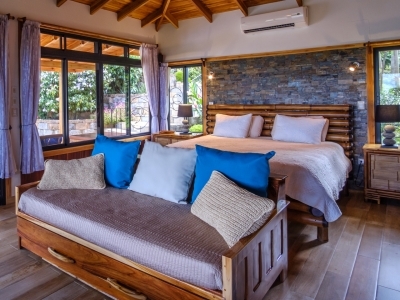 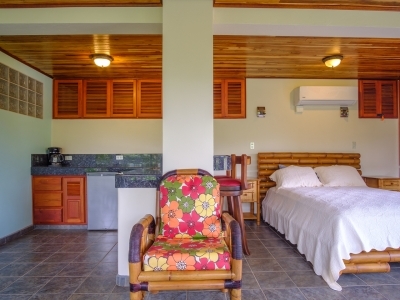 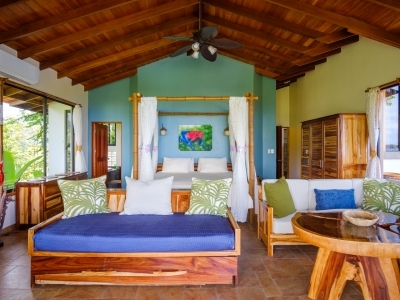 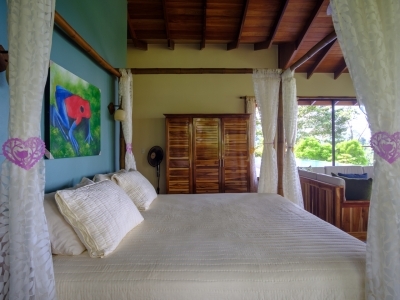 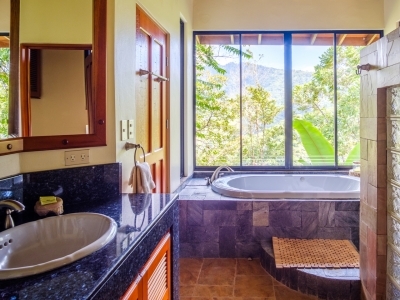 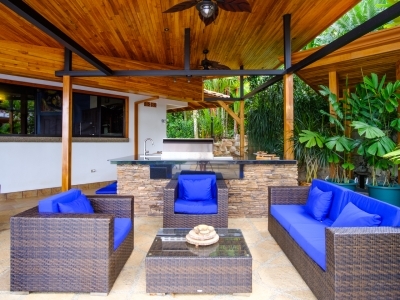 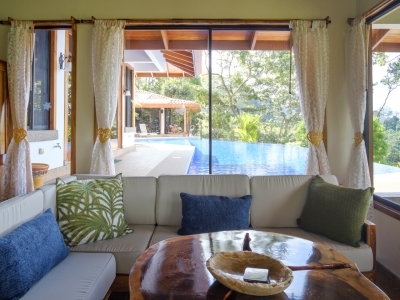 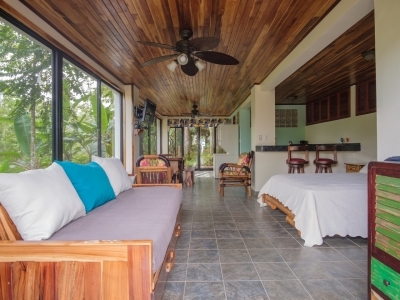 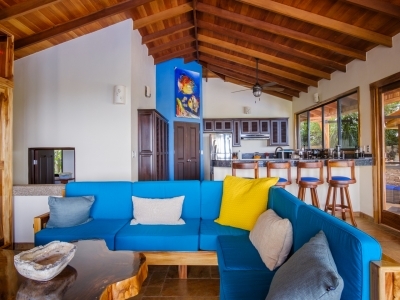 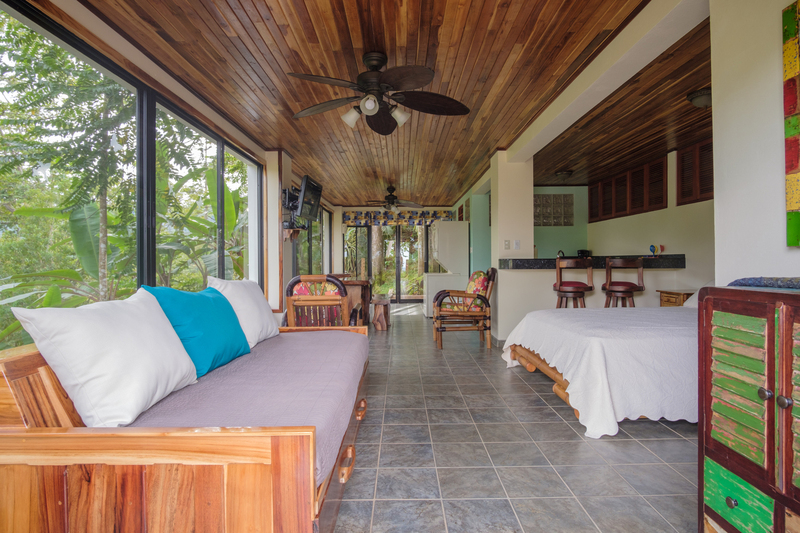 The Casa Sea Breeze is located 15 minutes from Dominical Beach in the mountainside area of Lagunas. 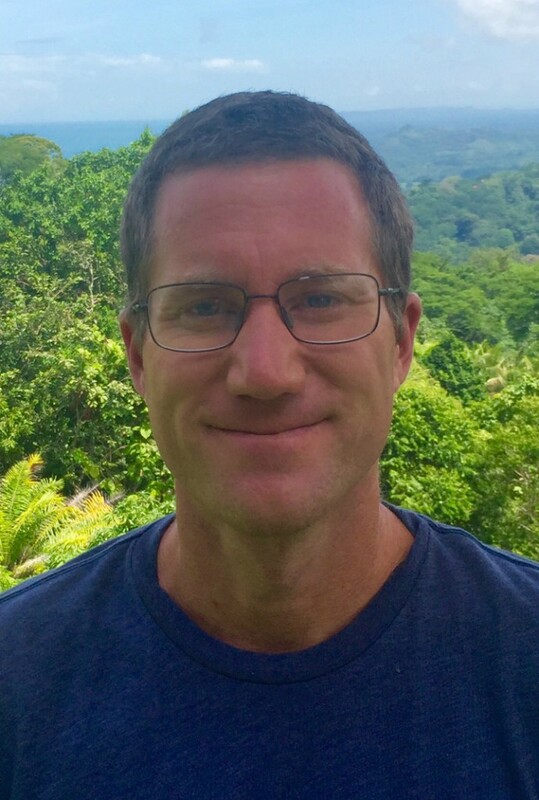 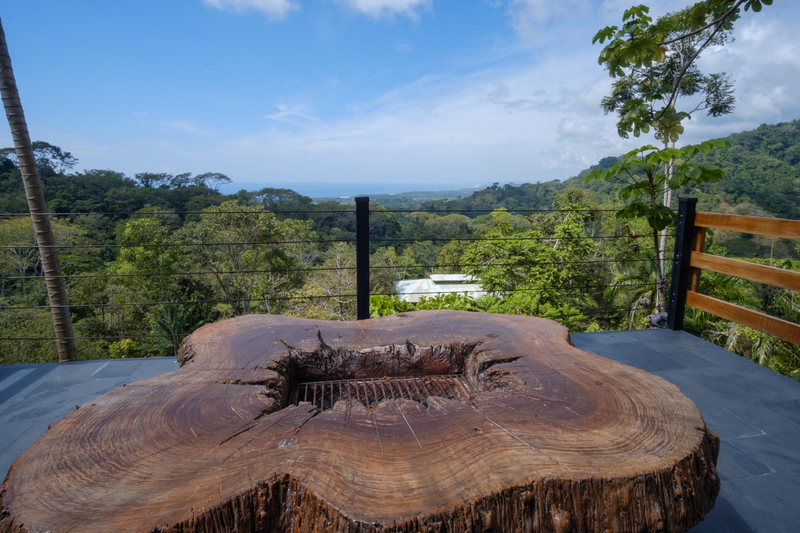 The property is adjacent to a 100 acre private reserve and that reserve is adjacent to an 800 acre private reserve called “Baru,” providing nearly 1000 acres of protected, pristine rain forest and all the bio-diversity, wildlife, beauty and exploring that comes along with it. 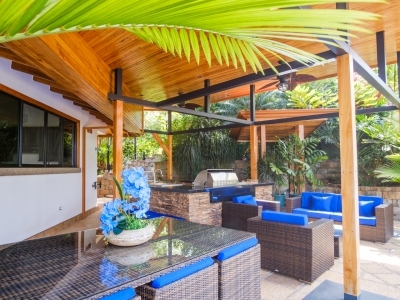 The approach to the property is through a private drive which leads to a covered carport. 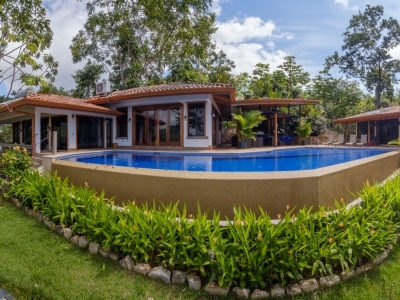 Lighted walking paths meander to the main house, pool, and pool-side villa. 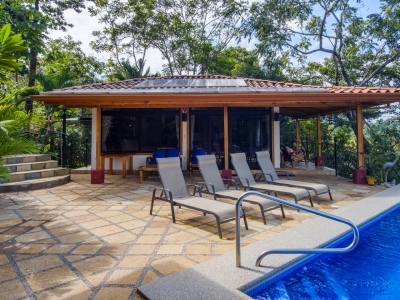 On the southern side of the property is a two-stall garage below with a guest house above, all done in sturdy concrete masonry construction. 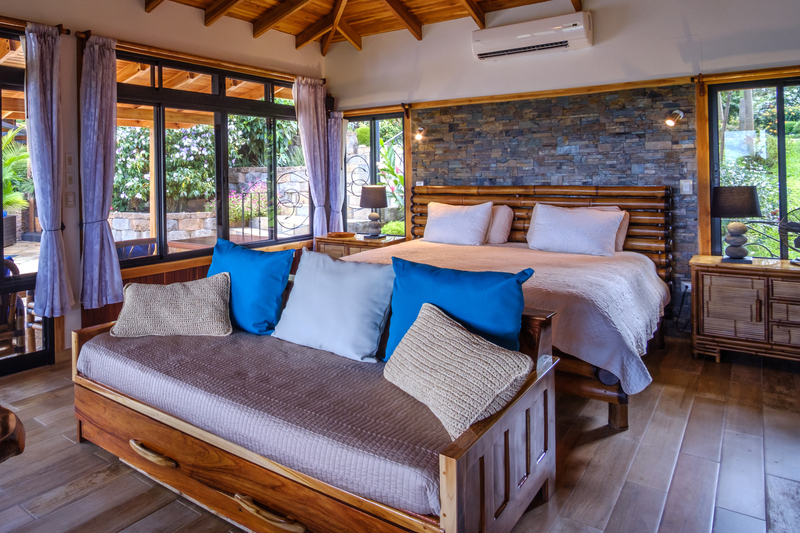 The main house measures approx 2,600 ft2 over two levels and includes a very well-appointed kitchen, full bathroom, master suite with en-suite bath and generous terraces. 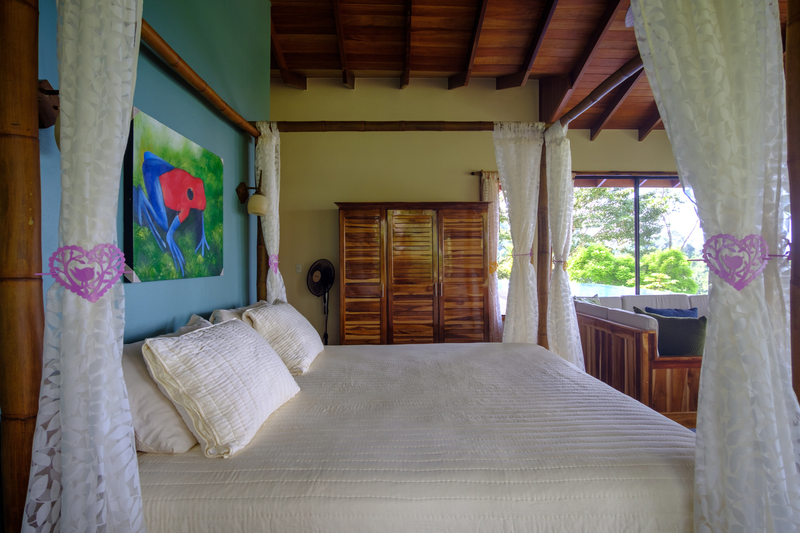 Below this level is an over-sized bedroom with en-suite, a kitchenette and an independent entrance. 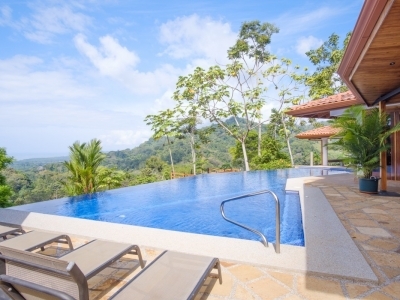 Both levels of the main house have stunning views of the mountains and ocean. 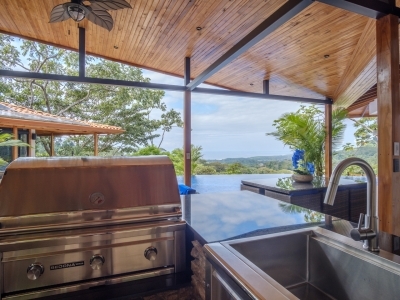 Back to the main level, there is a luxurious outdoor kitchen with bbq and dining area which faces the 45 foot long swimming pool. 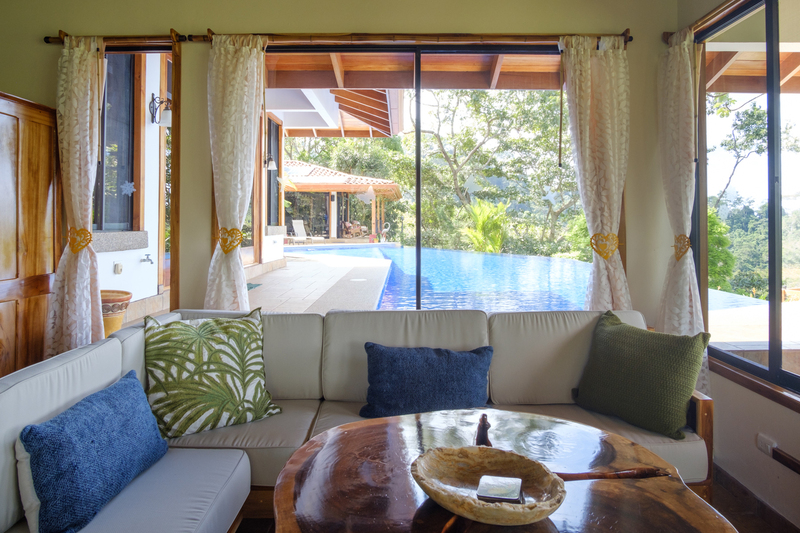 Connected to the southern side of the pool is new pool-side villa which measures approx 600 ft2 and serves as the third bedroom, also have it’s own independent entrance and sense of privacy. 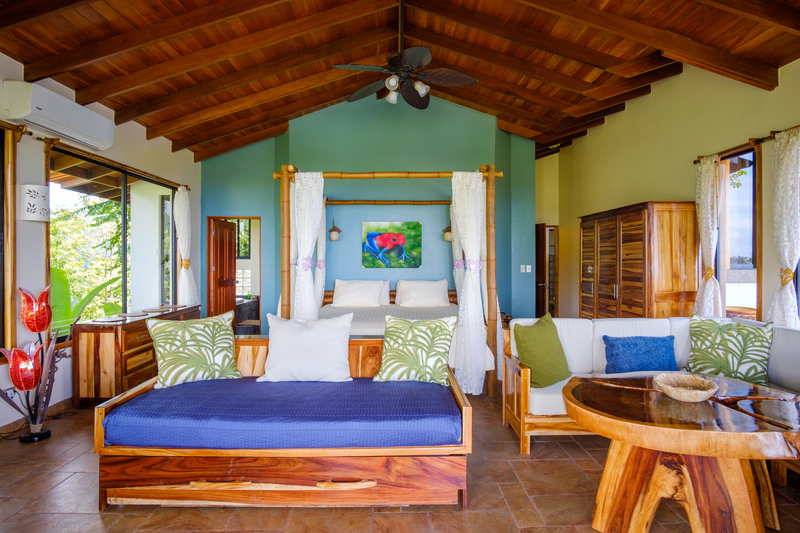 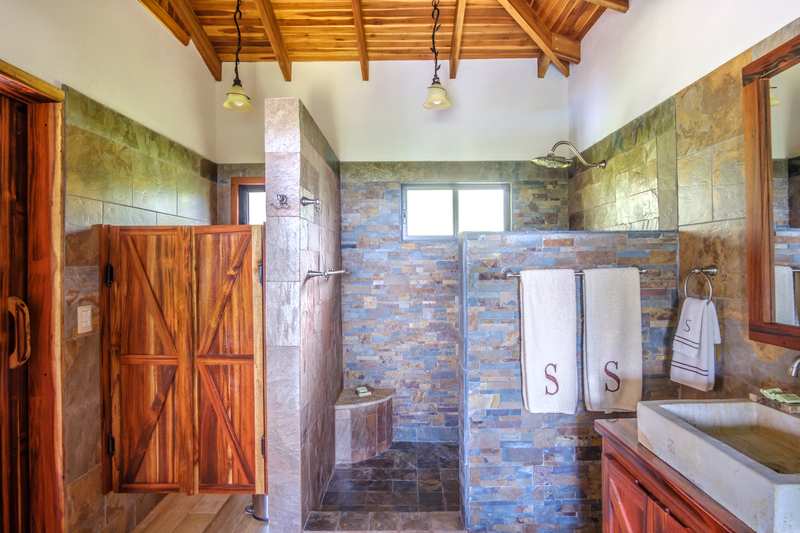 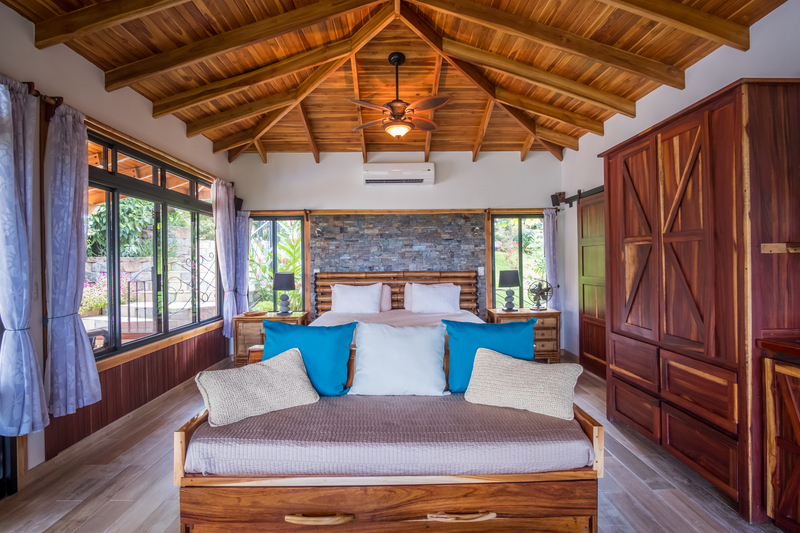 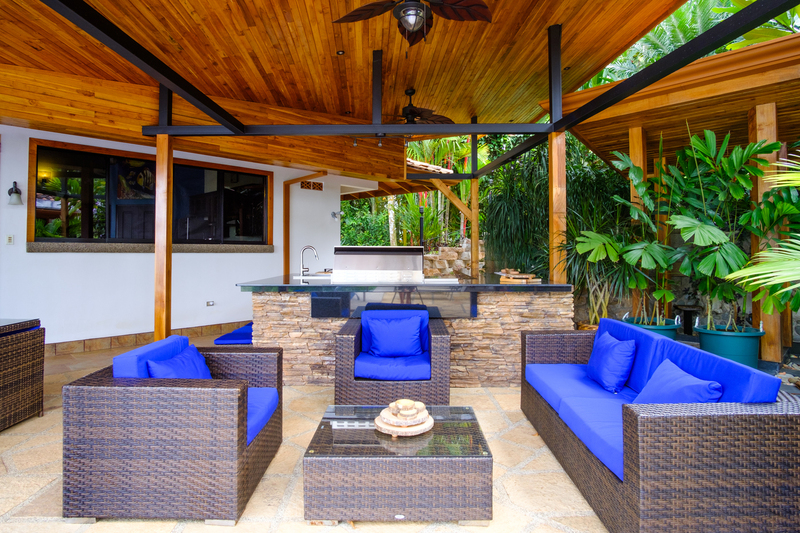 All of this construction is done with responsibly harvested, local hardwoods (teak, cedar and ron ron), high-quality hardware and exquisite craftsmanship, creating a feeling of organic, bear foot elegance. 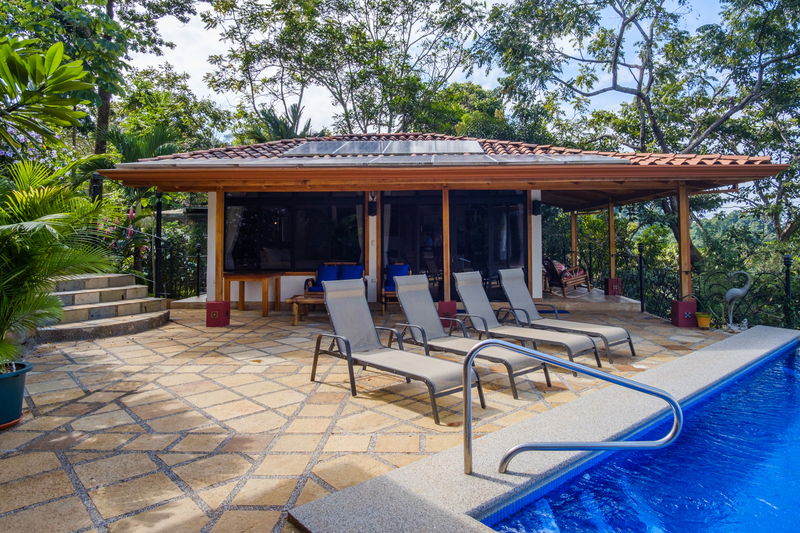 This entire section of property is powered by solar panels, so the owners and guests can enjoy the luxurious experience knowing that they are preserving the planet’s resources. 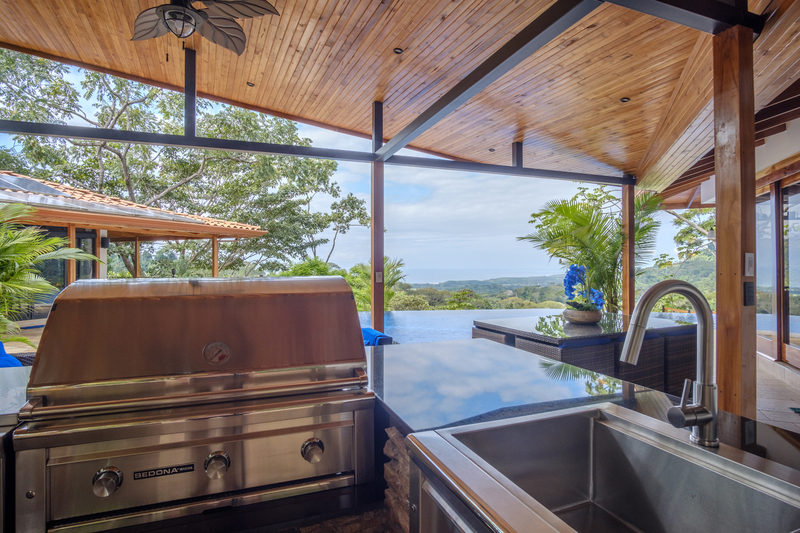 The property also includes a lookout, seating area with a fire-pit and one of the best vantage points on the property being at the western edge of the 2.3 acre property. 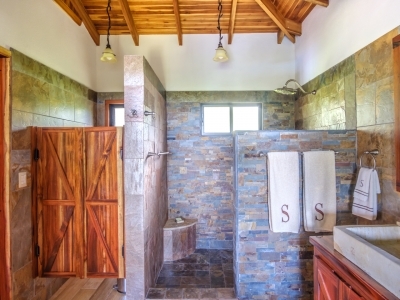 Additionally, the property has an excellent water storage system, mature fruit trees and landscaping, and is fully fenced (though not in a way to impede the movement of wildlife). 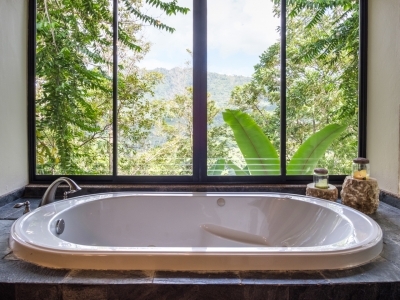 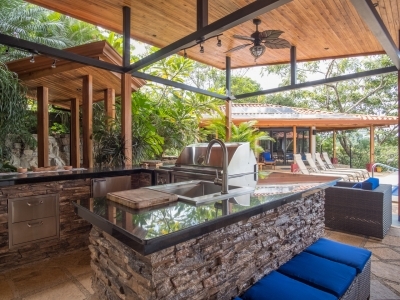 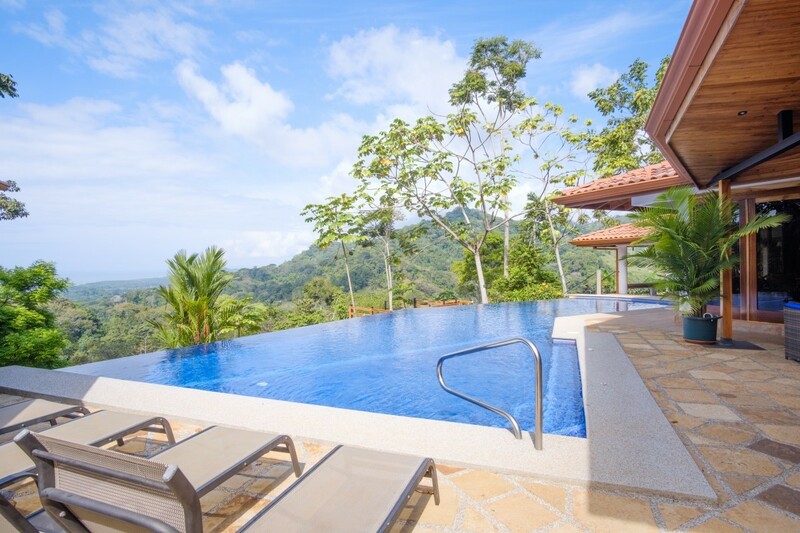 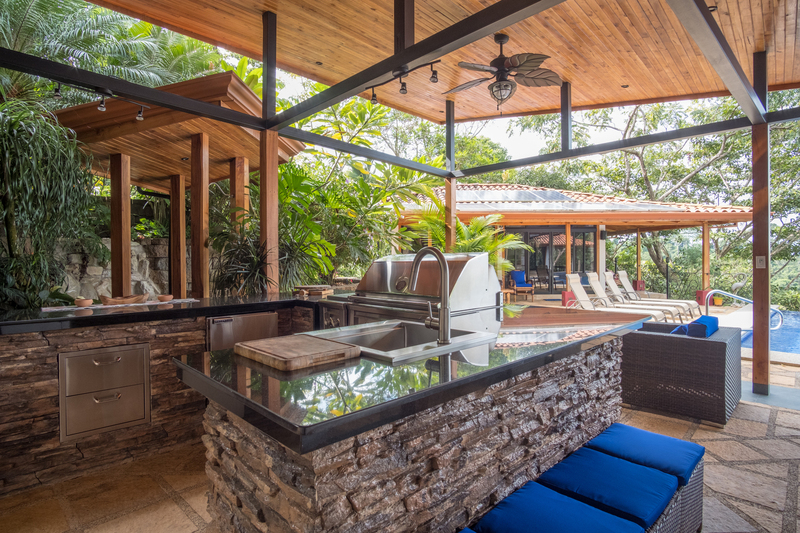 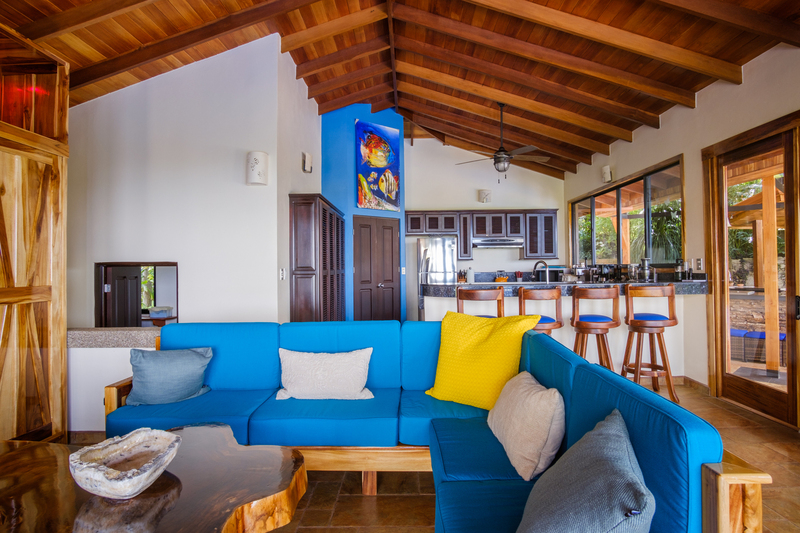 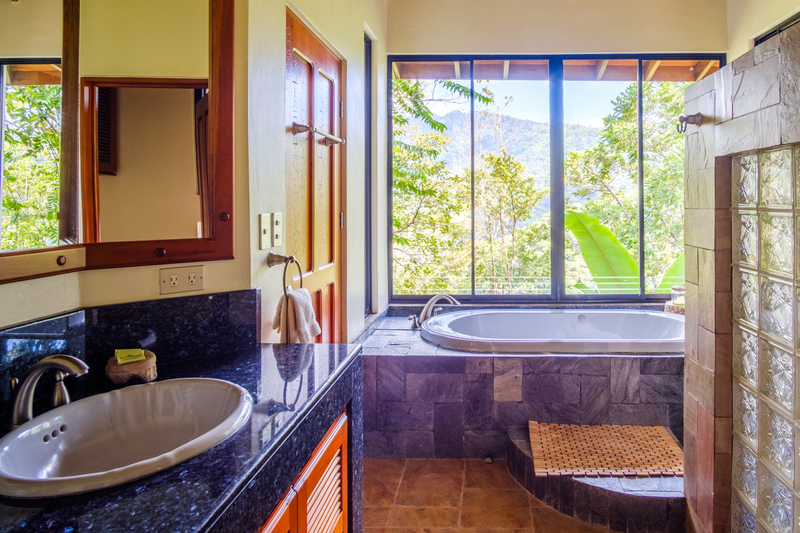 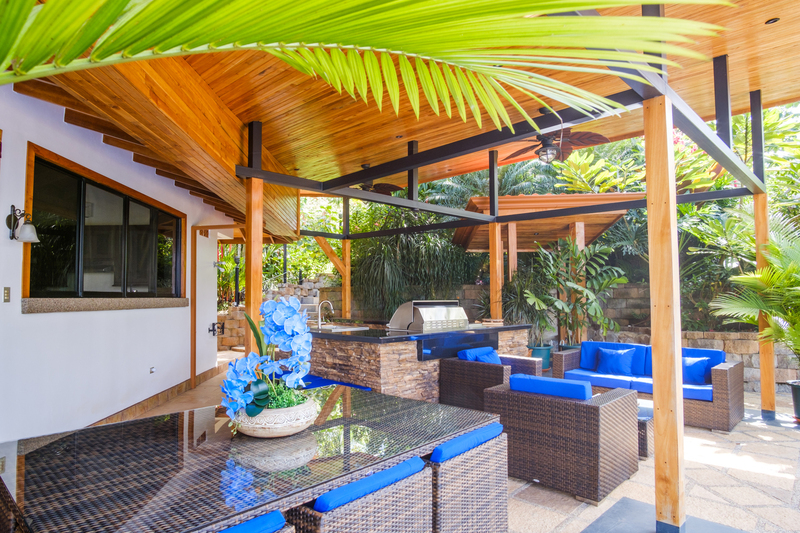 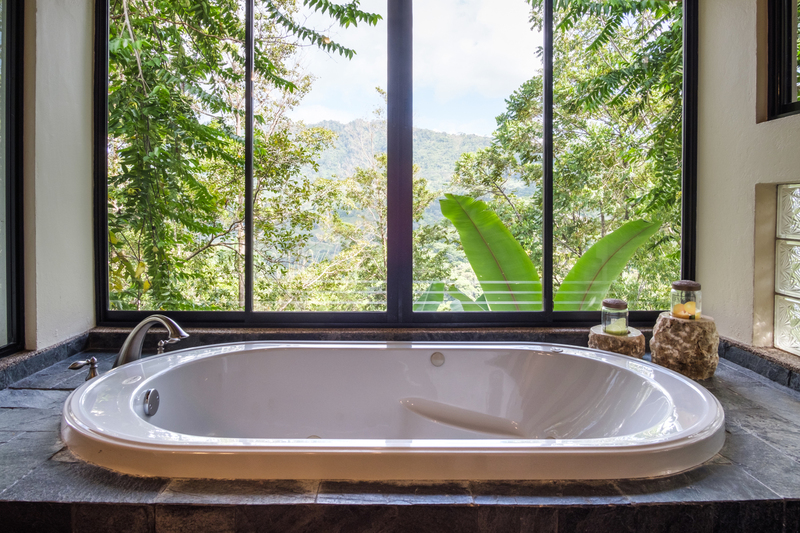 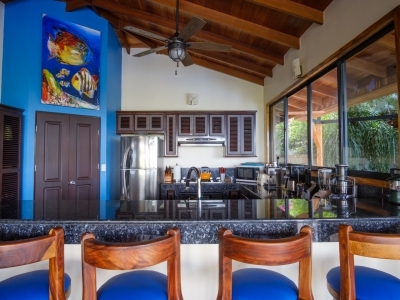 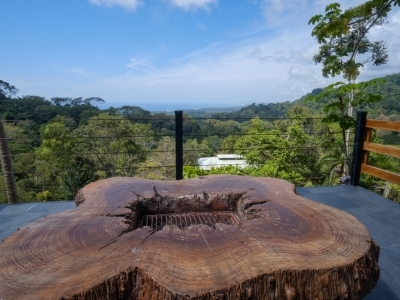 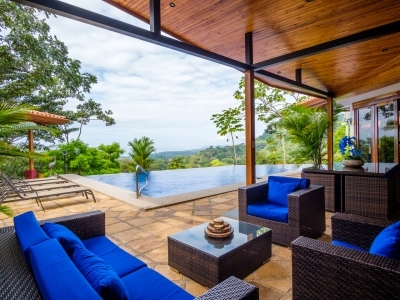 The properties views are simply stunning and include approx 25 miles of whitewater coast line, the world-famous Manuel Antonio National Park and year-round sunsets. 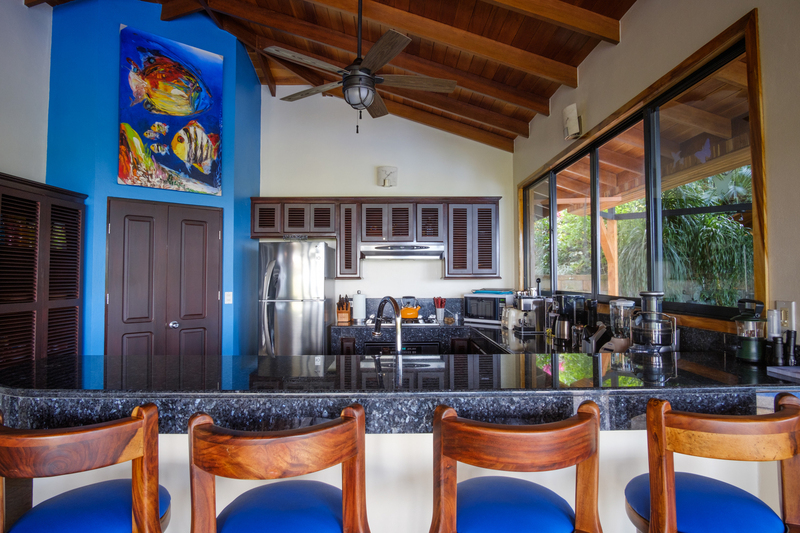 For discerning buyers, seeking something unique and special with an authentic experience and turnkey ready ownership this property is an absolute must see!